I've had one caramel apple in the last decade. I ate it in Blackpool, leaning on a railing surveying the resort's vast but mostly empty beach. Below me I studied a family spread out on a big blanket. It was cold. The sky was gray. They were bundled up but thoroughly on the beach and on vacation. Blackpool, where many English people dream of retiring, is a wonderland of candy floss (that's British for "cotton candy"), cheap fish 'n chips, gambling salons, and schmaltzy variety shows. England's well-worn yet still glittering city of fun with a six-mile beach promenade is mostly ignored by American guidebooks. Located on the coast north of Liverpool, it's the private playground of North England's Flo and Andy Capps. When I told Brits I was Blackpool-bound, their expressions soured and they asked, "Oh, God, why?" Because it's the ears-pierced-while-you-wait, tipsy-toupee place that local widows and workers go to year after year to escape. Tacky, yes. Lowbrow, OK. But it's as English as can be, and that's why I like it. One thing's for sure, you'll see lots of people on vacation here...but hardly an American in sight. Blackpool is dominated by the Blackpool Tower — a stubby version of its more famous Parisian cousin. This giant fun center, painted gold in 1994 to celebrate its 100th birthday, seems to grunt, "Have fun." You pay about $30 to get in, and after that the fun is free. Work your way up through layer after layer of noisy entertainment: circus, bug zone, space world, dinosaur center, aquarium, and the silly house of horrors. Have a coffee break in the elegant ballroom festooned with golden oldies barely dancing to barely live music. The finale — at the tip of this 500-foot-tall symbol of Blackpool — is a smashing view, especially at sunset. Hop a vintage trolley car to survey Blackpool's beach promenade. The cars rattle constantly up and down the waterfront. Each of the three amusement piers has its own personality. 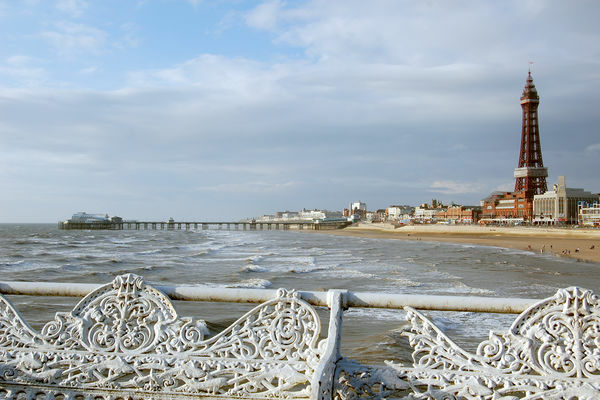 Are you feeling sedate (north pier), young and frisky (central pier), or like a cowboy dragging a wagon full of children (south pier)? Stroll the Promenade past a gauntlet of temptations doing whatever they can to get you to step inside. Huge arcade halls advertise free toilets and broadcast bingo numbers into the streets. The randy wind machine under a wax Marilyn Monroe blows at a steady gale, and the smell of fries, tobacco, and sugared pop-corn billows everywhere. Milk comes in raspberry or banana in this land where people under incredibly bad wigs look normal. I was told that I mustn't leave without having my fortune told — about $5 per palm — by a Gypsy spiritualist. Blackpool always has a few razzle-dazzle music, dancing-girl, racy-humor, magic, and tumbling shows. I enjoy the "old-time music hall" shows. The shows are corny — neither hip nor polished — but it's fascinating to be surrounded by hundreds of partying British seniors, swooning and waving their hankies to the predictable beat. Busloads of happy pensioners come from all corners of North England to giggle at racy jokes. A perennial favorite is Funny Girls, a burlesque-in-drag show that delights footballers and grannies alike. Blackpool's "Illuminations" light up the night every September and October. Blackpool (the first city in England to "go electric") stretches its tourist season by illuminating its six-mile waterfront with countless blinking and twinkling lights. This ritual, while tired and low-tech, still creates a buzz in England and fills the place with visitors eager to survey the spectacle from specially decorated trams. For a fun forest of amusements, Blackpool Pleasure Beach is tops. 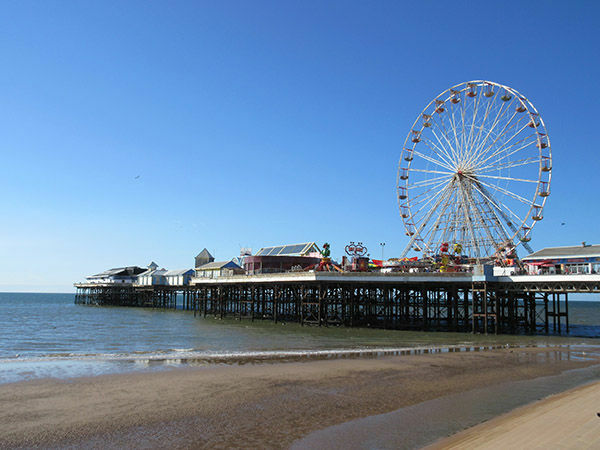 These 42 acres of rides (more than 100, including "the best selection of white-knuckle rides in Europe"), ice-skating shows, cabarets, and amusements attract seven million people a year, making Pleasure Beach one of England's most popular attractions. Their roller coaster is among the world's highest (235 feet) and fastest (85 mph). For me, Blackpool's top sight is its people. You'll see England here like nowhere else. Grab someone's hand and a big stick of candy floss and stroll. Ponder the thought that legions of English actually dream of retiring here to spend their last years here wearing hats with built-in ponytails. 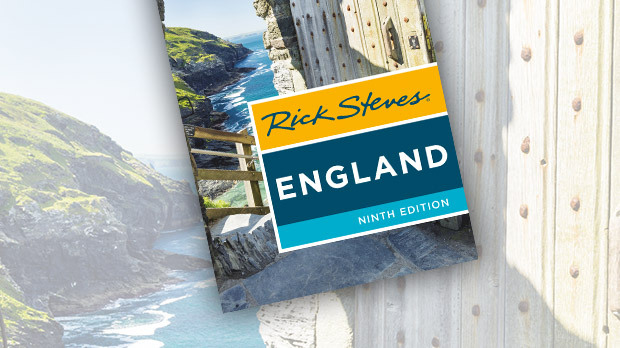 If you're not into kitsch and greasy spoons (especially if you're a nature lover and the weather happens to be good), skip Blackpool and spend more time in nearby North Wales or England's Lake District. But if you're traveling with kids — or still are one yourself — visit Britain's Coney Island, where so many Englishmen go (but few will admit it).